Tennessee alimony divorce cases benefit from use of a vocational expert to prove ability to earn income with some retraining or education. 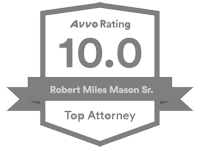 Vocational expert witness testimony can provide evidence of a spouse’s earning capacity in Tennessee alimony cases. In divorce proceedings, the spouse earning the most money at the time of the divorce is considered the “advantaged” spouse. The spouse earning less is considered the “disadvantaged” spouse. 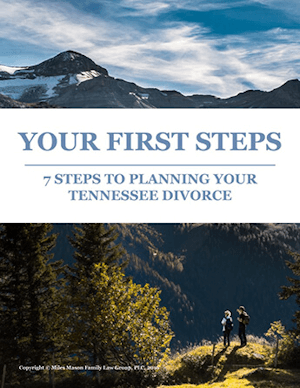 The two major statutory factors examined by Tennessee courts in determining the amount of an alimony award are the disadvantaged spouse’s need for support and the advantaged spouse’s ability to pay. Courts look at the past and present earnings of both spouses, as well as the future ability of each spouse to earn money. Advantaged spouses can hire a vocational expert who can testify to the employability and earning capacity of the disadvantaged spouse. Vocational experts provide testimony on educational and occupational skills, and the transferability of those skills into the current job market. These experts examine a number of factors, including past occupations, special skills, education, age of the spouse, and length of time since prior jobs or school. Also considered by vocational experts are employability, the local labor market for the disadvantaged spouse’s field, and possible additional training available. The analysis provided by the vocational expert often provides the court with a reliable basis for calculation of the disadvantaged party’s potential income. 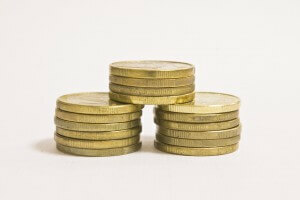 The disadvantaged spouse’s potential salary range is crucial to the court’s alimony decision. The testimony of a vocational expert can serve as a powerful tool of persuasion in Tennessee courts. In Mayfield v. Mayfield, the Tennessee Court of Appeals reversed the trial court’s denial of alimony after considering testimony from a vocational expert. Mayfield v. Mayfield, No. M2010–01383–COA–R3–CV, 2012 WL 134812 (Tenn. Ct. App., 2012). The husband was a farmer, but also worked as a machinist many years before the divorce; the wife was employed full-time as a pharmacist. The husband claimed he could not find meaningful employment as a machinist due to his lack of familiarity with modern technology. A vocational expert testified that the husband possessed transferable skills in the tool and die and farming industries. The Court of Appeals awarded the husband temporary transitional alimony to give him time to obtain the education or training necessary to re-enter the field of machinery. However, the husband was not awarded a more permanent form of alimony because the court found he was “fully capable of finding suitable employment utilizing his skills” in machinery or farming. Although the husband was awarded temporary alimony, the testimony of the vocational expert persuaded the court to drastically limit the award based on the husband’s potential to earn money. The disadvantaged spouse can also hire a vocational expert to testify about the inability to earn money. In Loyd v. Loyd, the Tennessee Court of Appeals reversed a trial court decision and awarded the wife alimony after reviewing the testimony of a vocational expert. Loyd v. Loyd, 860 S.W.2d 409 (Tenn. Ct. App., 1993). The wife graduated from high school and held a vocational degree in cosmetology; in contrast, the husband only attended school until the eighth grade. The couple started a telephone service company during the marriage, which was awarded to the wife in the original trial court divorce decree. The vocational expert hired by the wife testified that her physical and emotional problems would only allow her to work 20-32 hours per week at the telephone service. Despite the wife’s superior education and ownership of a business, the Court of Appeals was persuaded by the testimony of the vocational expert and awarded alimony to the wife to compensate for her limited ability to work. 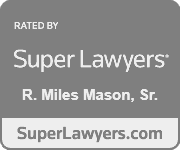 As these two cases illustrate, the testimony of a vocational expert holds the potential to sway the courts in the determination of an alimony award. Even if the disadvantaged spouse is unemployed at the time of the divorce, the advantaged spouse has the opportunity to prove the potential for employment. Conversely, the disadvantaged spouse has the opportunity to prove an inability to find gainful employment. In both cases, expert testimony served as a potent tool of persuasion.